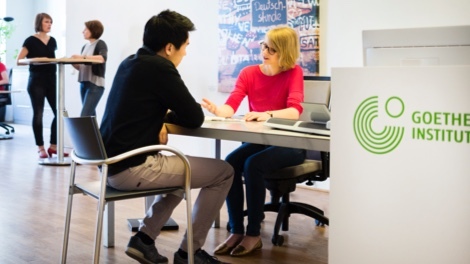 The GOETHE Institute offers qualified instruction in German, private and professional contacts, and insights into Germany’s culture. Highly qualified language courses are also offered by the institute for course participants in Germany. We have been working with the GOETHE Institute for years and offer a tailor-made insurance concept consisting of health insurance and liability/accident insurance at a fair and competitive price. We urgently recommend obtaining health insurance coverage for participants from the EU as well, since insurance in their home country does not pay for everything, for example return transport that is often expensive. Flat rate coverage for personal injury and property damage € 2.0 Mio. € 2.6 Mio. Damage to owned and rented residences and buildings of the host family (Deductible € 250 for non-movable property of the host family) € 2.6 Mio. Excess premium payments are refunded if the au pair insurance contract ends prematurely. One monthly premium after min. 12-month term without claims. Insurance coverage worldwide for up to 6 weeks for vacation trips, also with the host family.